Smartshoes seem to be the next big thing after smartwatches, just look at these from Digitsole. 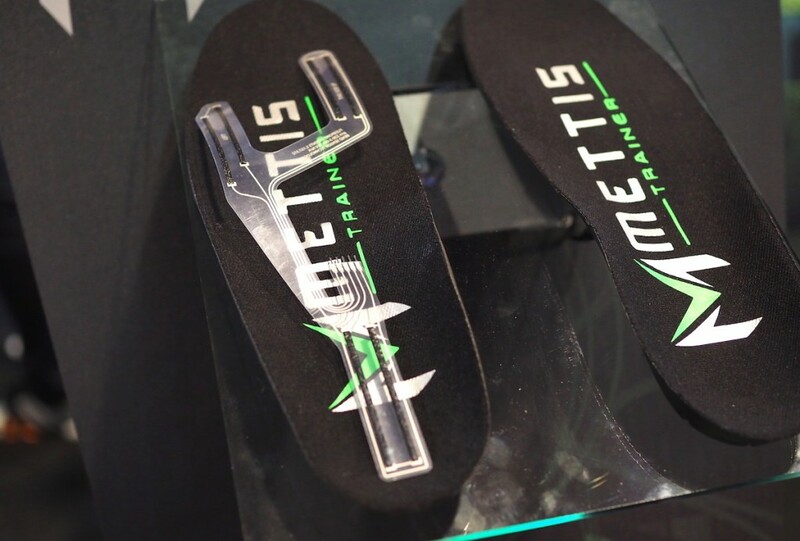 Mettis Trainer instead made Smart Insoles which can be placed inside different shoes. Being stuck to just one type of smartshoe is a problem we don’t have to go through anymore. Seems like Mettis Trainer has solved a problem we weren’t able to encounter yet. Their Smart Insoles have potentiometers which detects pressure that is acted on to it. There are three of these sensors, two for the front part of the foot, right under your big toe and the pinky toe, and another for your heel. With these sensors Mettis can figure out whether you’re running, playing basketball, or hitting up some golf. The data gathered from Mettis Trainer’s Smart Insoles can then be studied to help you know where you should improve on. Mettis Trainer has made the Smart Insoles incredibly thin and weighing at a little under 60grams, it is almost unnoticeable. All of these features would be pretty useless if the Smart Insoles won’t be able to last long enough for your game to end, right? Good thing that they last for around 12 hours of continuous use, I don’t think there’s any game that would normally last longer than that. You may charge it using a wireless charger that comes along with the Smart Insole. The batteries should reach 100% from 0% in about 4 hours. Mettis is currently eyeing on an app that golfers can use to see how their weight shifts as they play. The data gathered by the Smart Insoles will be sent to the app in real-time. It is currently up for pre-order for $199 and should be available by the second quarter of 2016. It’s only a matter of time until Smartpants with wireless charging pockets become a thing. Dell 23 Wireless Connect Monitor at 56% Off!